Founded in 1973, Executive Women in Government is a non-profit, nonpartisan organization comprised of Federal Government women executives. Members prepare, promote, and support women for senior leadership positions in the Federal Government and the military through networking, shared knowledge and experience, and mentoring. The Executive Women in Government (EWG) has been an important force in the advocacy for and support of advancement of women into federal and military leadership positions. Through its highly acclaimed mentor program, informal leader development activities, and unprecedented networking opportunities, EWG creates amazing opportunities for current and aspiring female senior leaders to share and engage on their most pressing challenges and most inspiring achievements. It is an honor and a privilege to serve as President, and I encourage you to join us as we endeavor to continue to inspire, elevate and support a more diverse and inclusive federal and military leadership cadre. Prepare, promote, support and mentor women for senior leadership positions in the Federal Government. Build a powerful network to share experiences, to enhance professional relationships, and to increase understanding among women executives in the Federal Government. Motivate women leaders in the federal government to contribute to effective succession planning by creating a mentoring culture within their sphere of influence. Advocate for the advancement of women in senior leadership positions in the Federal Government, to include taking a public position on issues related to the purposes and goals of the organization; provide an opportunity to become better acquainted with other professional women in an atmosphere conducive to the constructive exchange of professional ideas; and encourage by collective example and action, interest and participation in public service by other women. 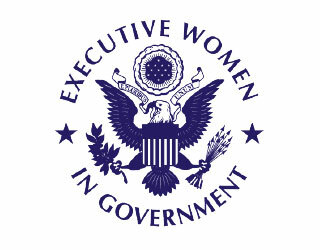 Executive Women in Government was founded in 1973 by the Honorable Barbara Franklin and other high-ranking government Women. Dr. Patrina Clark is a dynamic facilitator and speaker and a trusted advisor on a broad range of human and organizational performance challenges and has broad and deep expertise in human resource development, talent leadership strategies, and program and process improvement strategies. As the President and Founder of Pivotal Practices Consulting (Pivotal), Dr. Clark’s leadership has garnered the firm recognition as a top provider of exceptional services to government agencies. Recognition includes the Minority Business Development Agency’s (MBDA) 2017 Professional Services Firm of the Year, the Central Region National Minority Supplier Diversity Council’s Top 100 MBEs (Minority Business Enterprises), and the U.S. Department of Homeland Security’s (DHS) 2016 Small Business Achievement Award. Before launching Pivotal, Dr. Clark performed with distinction for 25 years in five federal agencies – U.S. Government Accountability Office (GAO), Federal Election Commission (FEC), Department of Navy, Department of Veterans Affairs (VA), and Internal Revenue Service (IRS). Dr. Clark’s last federal position was Chief Human Capital Officer (CHCO) for GAO. 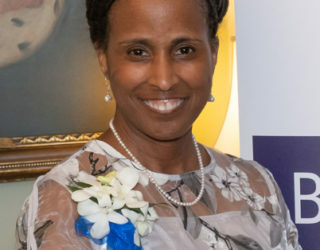 A career member of the Senior Executive Service (SES), Dr. Clark received numerous awards and commendations during her government career, including the Navy’s Meritorious Civilian Service Medal and a Hammer Award from the Partnership for Reinventing Government. Dr. Clark earned her doctorate in Human and Organizational Learning at The George Washington University. She has also completed graduate studies and programs at Harvard, Cornell, Georgetown, and the University of Maryland. Dr. Clark is also an alumnus of the Goldman Sachs 10,000 Small Businesses (10KSB) and U.S. Small Business Administration (SBA) Emerging Leaders programs. Other professional affiliations and certifications include: Human Capital Institute Human Capital Strategist; HR Certification Institute Senior Professional in Human Resources; SHRM Senior Certified Professional; and Neuro Leadership Group Results Associate Certified Coach. 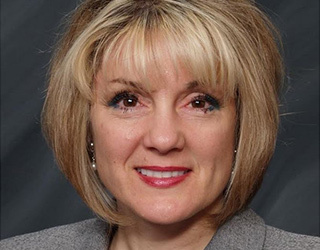 Deborah Leben has 27 years of federal government experience with the U.S. Secret Service serving in senior leadership and technical positions to advance national and international forensic science initiatives. 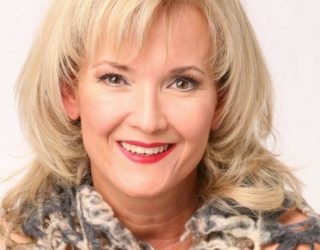 As the Laboratory Director of the U.S. Secret Service Forensic Laboratory, Ms. Leben lead research and development priorities and fostered strategic partnerships with government, industry and academia in advancing enterprise technical programs in forensic analyses and evidence operations. She has travel internationally and domestically to advance forensic initiatives with state, local, federal and international partners. She travels often to Cleveland, Ohio to visit family. Ms. Morgan currently works in the acquisition management office at the Office of the Comptroller of the Currency (OCC) in Washington, DC. Responsibilities include operations of contract administration and policy development, semiannual contract reviews, and responses to Management and Department reporting inquiries. Prior to working at the OCC, Ms. Morgan served as a Lead Contract Specialist at Indian Health Services and Procurement Analyst in the Office of the Senior Procurement Executive at the Department of Health and Human Services (HHS) working on a wide range of high-visibility, department-wide acquisition policy initiatives. Prior to HHS, she served as a Contracting Officer at the Federal Aviation Administration with experience in the procurement of high-dollar IT contracts, managing both pre- and post-award functions. Ms. Morgan began her career in the Federal Government as an Acquisition Management Intern at the Department of Interior after 20 years in radio broadcast sales. She also served as a member of the FAR Technology Team, OFPP’s Service Acquisition Inventory Interagency Working Group, and served as the 2017 NCMA Vice President of Programs, Washington D.C. Chapter. Ms. Morgan received the 2013 NCMA Outstanding Academic Achievement Award and a Master of Science Management Degree in Federal Acquisition and Contract Management from Catholic University in 2014. She has authored two articles on acquisition that were published in the April 2014 NCMA Contract Management magazine and the 2013 NCMA Journal. In her leisure time, Ms. Morgan likes to work out, travel, tour art museums, attend Broadway musicals, and scout the latest fashions. Ms. Morgan brings a wealth of knowledge in acquisition operations and policy, and EWG is excited to have her join our team! She can be contacted at cindyo_morgan@msn.com. Please welcome Ms. Morgan to the EWG. Ms. Atkins is a federal executive with over 33 years of experience spanning multiple federal agencies as well as industry and academia. 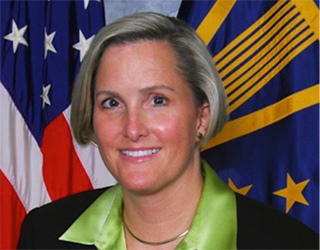 She has served in various senior leadership and engineering positions in diverse areas such as wireless systems and spectrum management, cyber security, and leading the development and execution of resourcing strategies, business practices and strategic alliances for DOD and civilian agencies. Ms. Atkins currently leads spectrum management efforts for the Executive Branch as the Associate Administrator, Office of Spectrum Management (OSM), within the U.S. Commerce Department’s National Telecommunications and Information Administration (NTIA).